I felt like Goldilocks today. Everything was just right. Not too cold, not too hot, not too early, not too late. 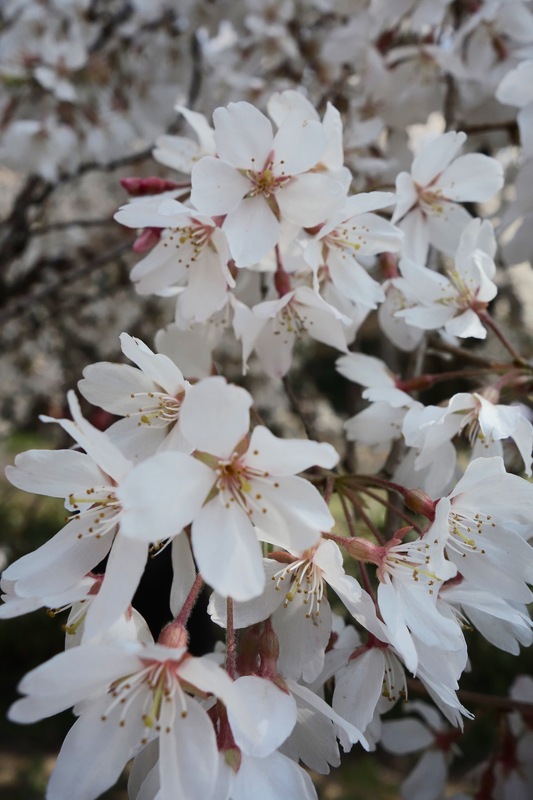 I’m talking sakura (cherry blossoms)! This year, our timing is good and it was a day for smiles, not only ours, but, it seemed for everyone else on this side of the world too. 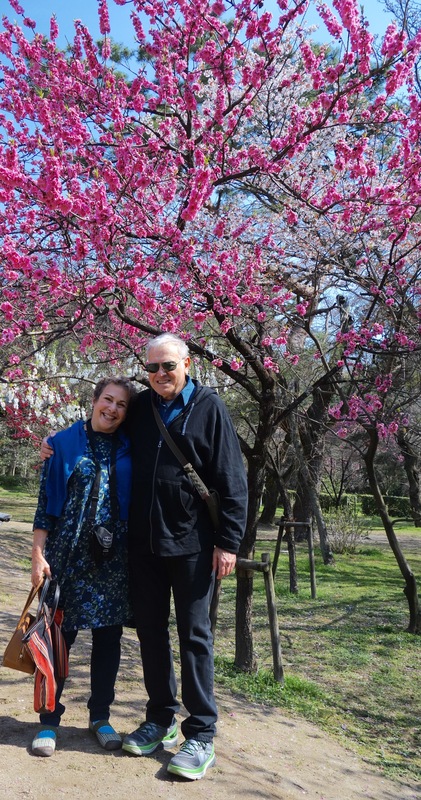 The morning dawned bright and sunny as we followed a friend’s lead to see the weeping cherries in bloom in the palace garden. 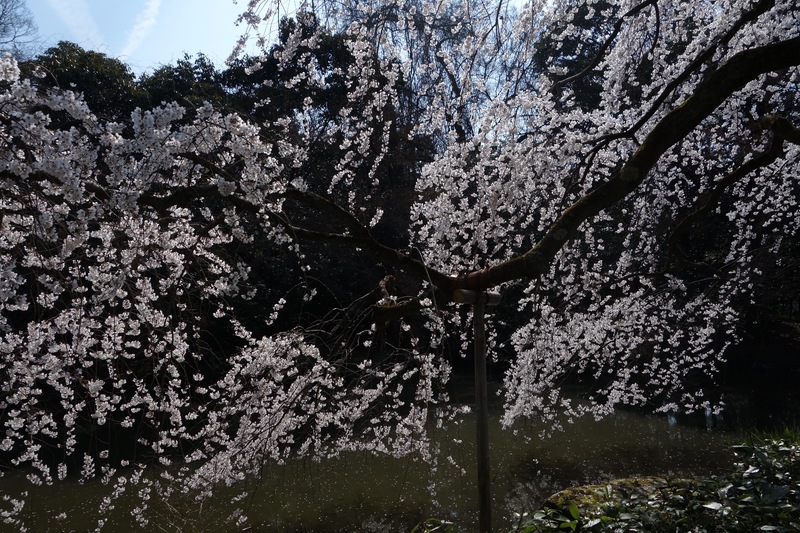 My anticipation levels have been off the charts for a few days now and soon after we entered the grounds of the palace, we spotted the blooms and followed the crowds to gaze at the trees and take photos to remember the moment. I hope these photos convey the beauty that awaited us. It is reassuring in these troubled times to see that people of the world take the time to come together to admire and wonder at the spectacular blessings of nature. A group of friends from Taiwan. This couple and their entourage told us they’d traveled from Taiwan to have a wedding picture taken here. The woman in the yellow cap was proud to let us know she was the mother of the groom. Nature’s lace, weeping cherry branches. 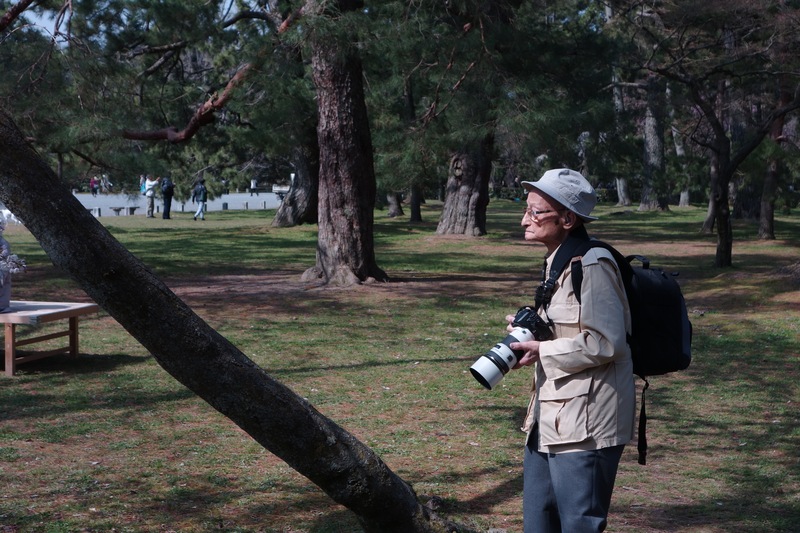 I wondered how many sakura seasons this gentleman has photographed? Love that he’s still at it. Probably my favorite moment, watching these two life partners, with identical body language. Magnifique!!!! So happy that you made it in time for this beautiful gift from Mother Nature. Great news! You guys look very happy. Happy for you!